Grew My Hair & Nails Fast! Searching for something that will help support healthy, thick hair and strong nails? I certainly have, my bathroom is inundated with hair growth shampoos and nail growth base coats/top coasts and oils as a result of my quest for thicker hair and nails! 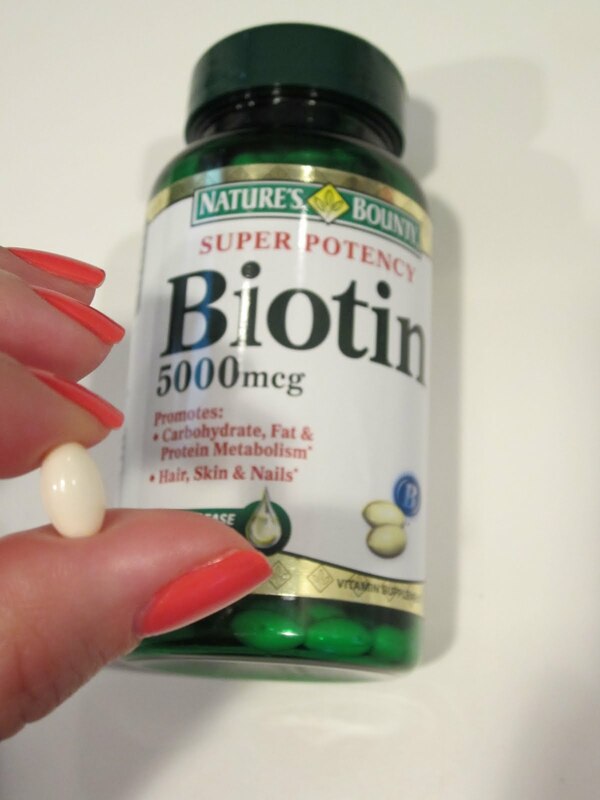 Someone suggested I might benefit from taking Biotin; a water-soluble B-complex vitamin (vitamin B7) that not only helps your hair and nails, it is essential for cell growth and metabolizing fats and amino acids. So 6 months ago my husband and I both started taking Biotin... and WOW, our results have been fantastic! Between my husband's Kirkland Minoxidil, and one 5000 mcg of Biotin a day, he seriously grew a whole new head of hair! He had major thinning hair issues (much to the amusement of his bald friends), but now he is so hairy it's astonishing! As cheesy as it sounds, I can actually run my fingers through his thick hair, just like in the hair transplant commercials! My Biotin regimen is taking one 5000 mcg of Biotin a day (no Minoxidil). My hair is growing like crazy,and it feels thicker. My nails are long, strong and beautiful - so much fun to wear polish when your nails look good! He grew a huge head of hair! Now, we have tried other types of Biotin, but the one that we love the most is Nature's Bounty Biotin 5000 mcg Super Potency Capsules. Most recently, I decided to try Nature's Bounty Hair, Skin & Nail from Costco. What I did not like about this product is that 1) My results were no where near as good (interesting since it is the same company) 2) You have to take 3 tablets a day. I strongly prefer taking just one tiny, easy to swallow Biotin capsule. Now, I purchased my Nature's Bounty Biotin 5000 mcg Super Potency Capsules from my local Walgreens, where they are buy one, get one free. This product is also available at Drugstore.com, but is more expensive. I am a mom, wife, entrepreneur and business owner. I LOVE finding things, people and places that stir my soul and arouse my senses. I believe happiness is the best cosmetic, but a great lip gloss can turn around a crappy day. I'm in love with beauty rituals that celebrate our bodies and our gift to be inside them! I put myself together every day like it could be my last day here... and I enjoy doing it! Beautiful hair, beautiful skin, beautiful makeup... I'm curious and passionate about all of it! © BeautyCurious.com 2011. Powered by Blogger.